Red sandal wood or lal chandan mala is useful for making please to goddess whereas red white sandal wood is used for the Gods. 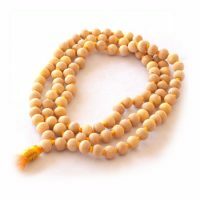 Lal chandan mala is considered as a symbol of god Brahma and also blessed by Goddess Lakshmi. It tells the high awareness, improves concentration, and mental structure changes particularly to rejection from sophisticated affair. The wearer enjoys all relieves at his authority. It keeps away the people from mentally disturbance, headache, heart disease, right eye defect. 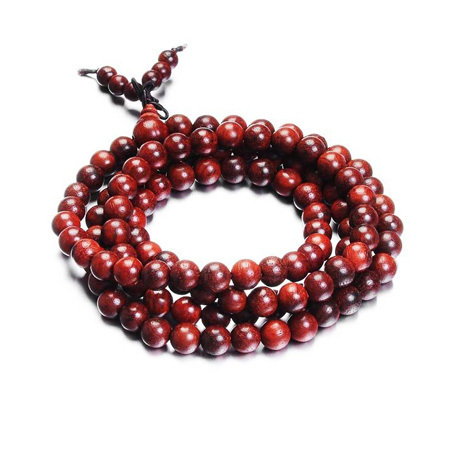 Red sandal wood is one of the best mala to calm down the planet mars and the lords linked with this planet. 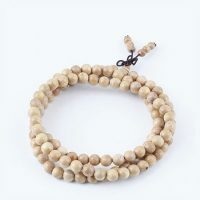 People can keep this mala with them when performing spiritual works and who have mangal dosh also can wear this mala.